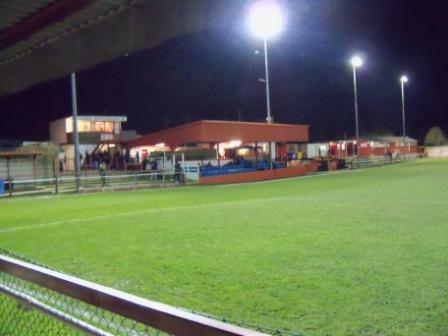 Gresley FC are the reincarnation of Gresley Rovers, who folded in 2008-09. Gresley Rovers, you may remember, won the Dr Marten’s league in 1997 (at the time step two) earning them promotion to the Conference – the first village side to win that division. Unfortunately, they were denied promotion based on ground criteria. A decade later and mounting debts forced them to fold. 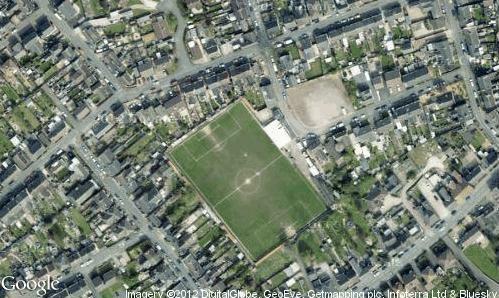 The original club have been going since 1882 and they have played at their Moat Ground for just over 100 years, since 1909. 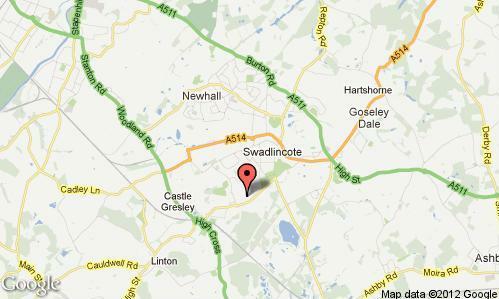 Their name comes from the village they represent in the suburbs of Swadlincote, in Derbyshire, itself a small town. The village is Church Gresley and has a population of just under 5,000. Since reforming in 2009 (and basically just taking away the rovers suffix), they got promoted from the East Midlands Counties League last year and are on course for winning the Midland Alliance league this year. They have managed to retain a lot of the fans they had when they were more successful, and as such get the best crowds in the league by some distance. 218 were present tonight. The Moat Ground is easy to miss as it is cramped in between houses, on all sides. Even when you see the glow of the floodlights in the air it is still a trial to track down the entrance. Lack of room at the Moat Ground is evidenced by slimline ends and sides. The end to the right of the main stand required breathing in to let someone pass. 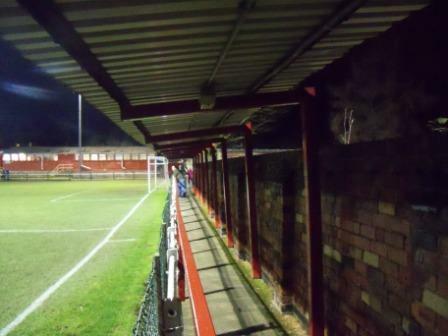 The main stand sits snugly near the entrance as if the terrace were a comfy chair that it has sunk into. The ground certainly has a lived in feel, as you would expect from a centenarian. The various bits of terracing and stands give it a lot of character and the way it is so compact within its urban environment gives it a close to the action feeling. The goals were the first I’ve seen with a triangle that was a perfect rectangle, if that makes sense. It was tight at the top of the Midland Alliance so Gresley needed a win against their mid-table opponents, another village club, this time from Leicestershire, called Kirby Muxloe. Although founded in 1910 they have only played at this level for a few years. Kirby Muxloe shot out of the blocks fast but familiar Gresley superiority was restored, mid way through the half, as Gresley took the lead. 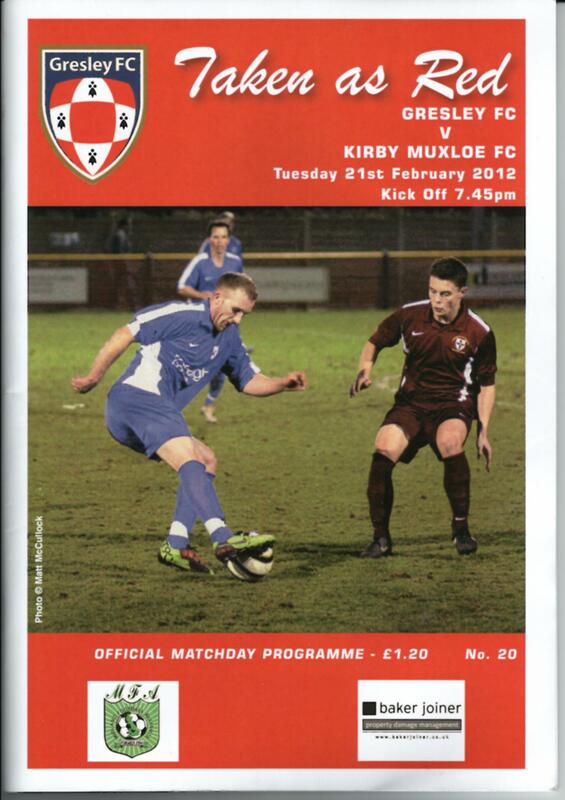 In the second half Gresley couldn’t add to their lead and Kirby started to gain in confidence. Three well taken goals in 17 minutes gave them a shock, but deserved, two goal advantage. Amazingly they managed to throw this lead away. The Midland Alliance website claims Gresley’s second came on 86 minutes but both goals were well into injury time and both soft. Gresley’s second was an inswinging free kick that the kepper let slip through his fingers into the top corner. A few moments later a scramble was bundled into the net for a spectacular waste of two points for the visitors, who had done so well up to that point. 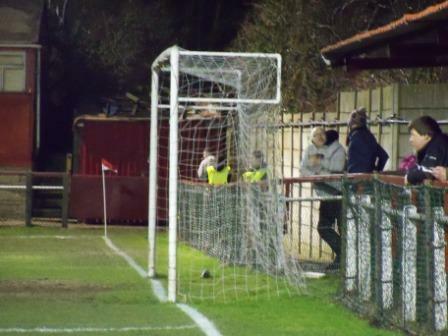 The point proved to be valuable as Gresley did go on to win the championship by that one point. They will play at step four next season. 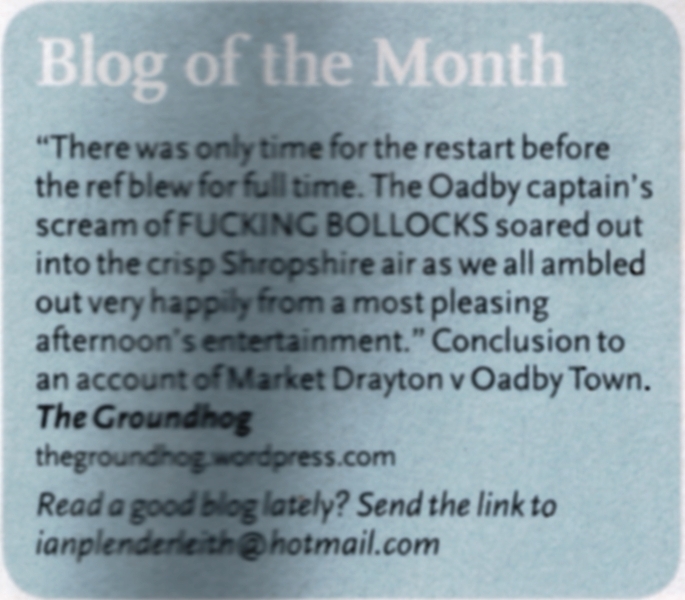 This entry was posted in Groundhopping, Non-League, Travelog and tagged Gresley FC, Gresley Rovers, Kirby Muxloe FC, Midland Alliance, Non-League, The Moat Ground. Bookmark the permalink.